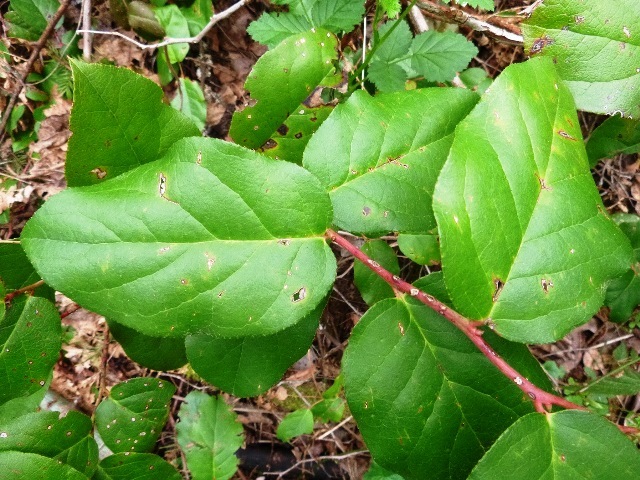 You never know what you might spot along the trails at Tryon Creek State Natural Area! 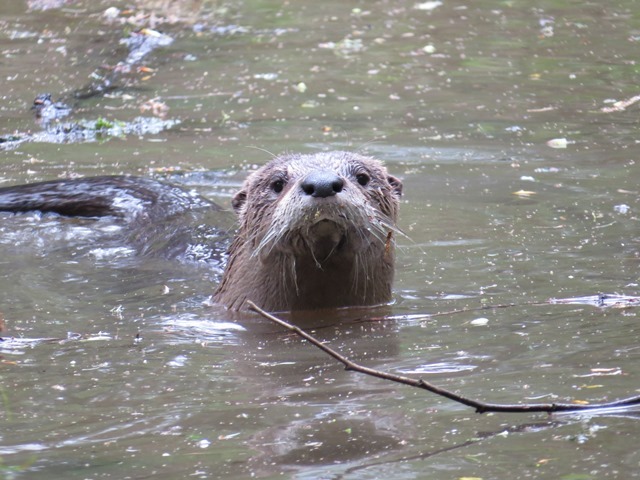 The refreshing rains brought an unlikely wildlife sighting to Tryon Creek this weekend, a river otter! Have you ever spotted one in the park before? “To be fortunate enough to observe the otters as they frolic in the bounding, rushing water, or in a placid, mountain lake is to behold the epitome of aquatic grace and beauty among mammals” – Chris Maser, Mammals of the Pacific Northwest. It was indeed a rare treat enjoyed by all who spotted it. 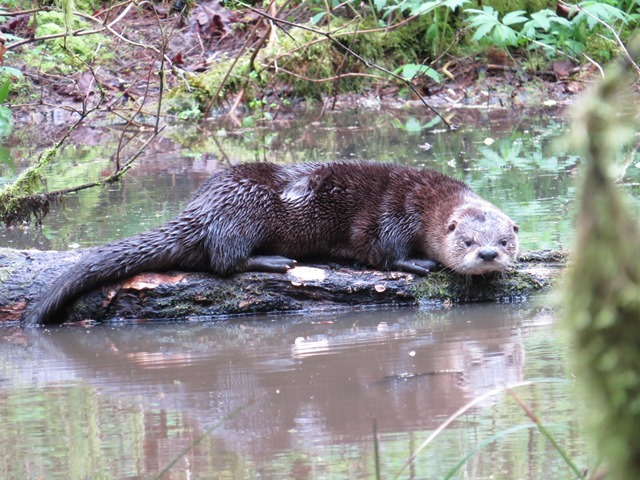 Want to learn more about this “otterly” cute critter? Check out some fun facts here! Many people visit Tryon Creek State Natural Area (TCSNA) to renew themselves amidst the forest’s tranquility. Tranquility? In the forest? Surely you jest! 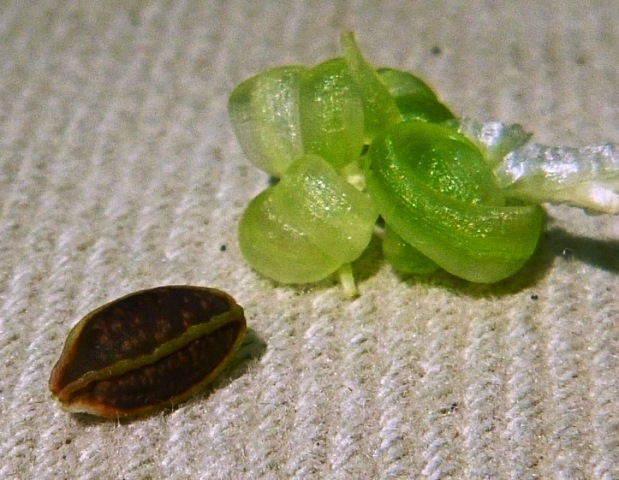 On an almost hourly basis new life starts as eggs of everything from birds to mosquitoes hatch and seeds germinate, while other lives end as owls catch mice and bugs fly into spider webs. 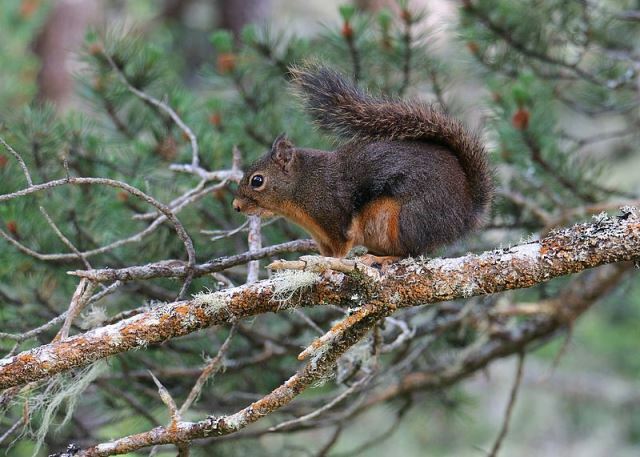 One of the conflicts at TCSNA revolves around our native Douglas squirrel (Tamiasciurus douglasii) and our stately Douglas-fir (Pseudotsuga menziesii) trees. 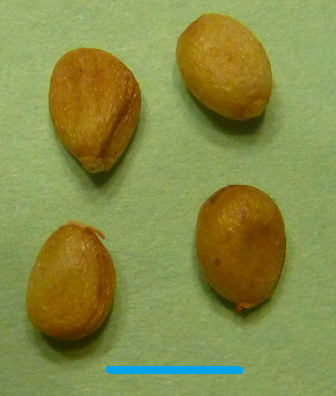 The battle is over the seeds of the Douglas-fir. 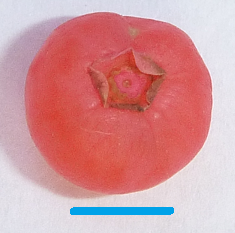 The seeds are small, but filled with concentrated food energy. That stored energy can be used to either nourish a squirrel, or grow a new tree. 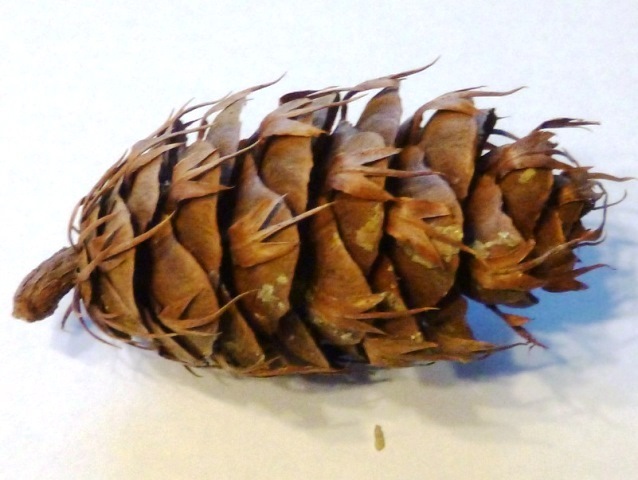 A mature green cone, and the seeds from one medium-sized Douglas-fir cone are pictured below (note: the cone and seed pictures are not to the same scale). For the squirrel, the Douglas-fir cones with their many seeds are a convenient package of food. Sort of like take-out pizza in a box. 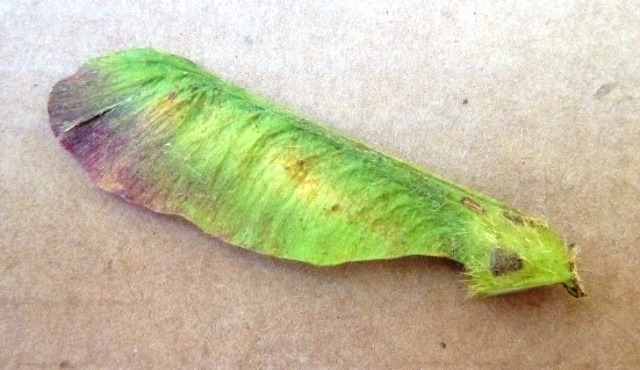 The squirrel can clip a single cone off the tree, and quickly snip off all the cone scales to get the seeds. That’s a lot more efficient than hunting around for the individual little seeds one by one. 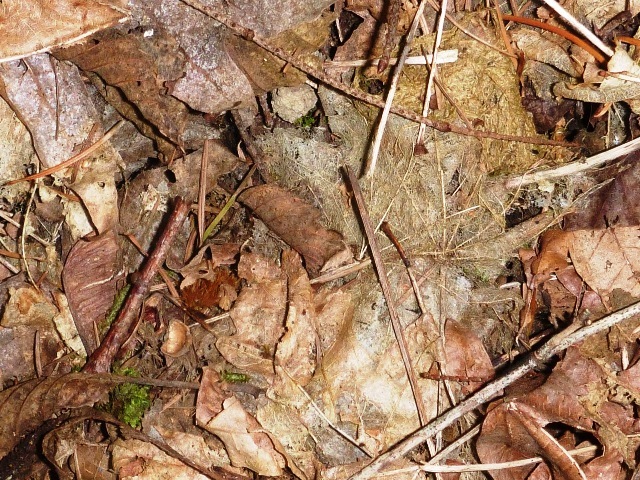 Evidence of the squirrel’s love of Douglas-fir seeds can be seen all over the forest in the mini-messes (technically they’re called “middens”) the squirrels leave behind. 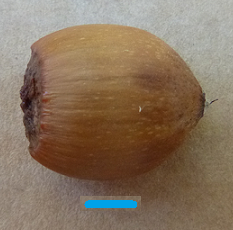 The squirrels are very skilled at clipping the scales off the cone to get the seeds. 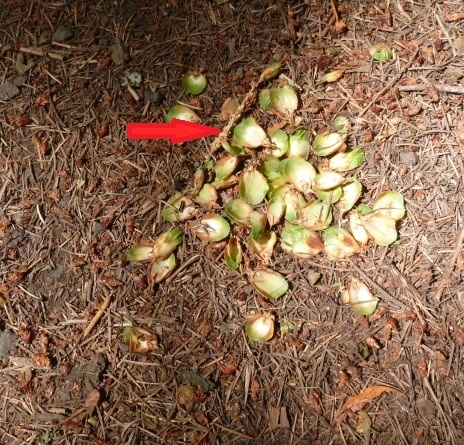 The “after lunch” photo below shows the bumpy central axis of a Douglas-fir cone (red arrow), and the cone scales the squirrel left behind. 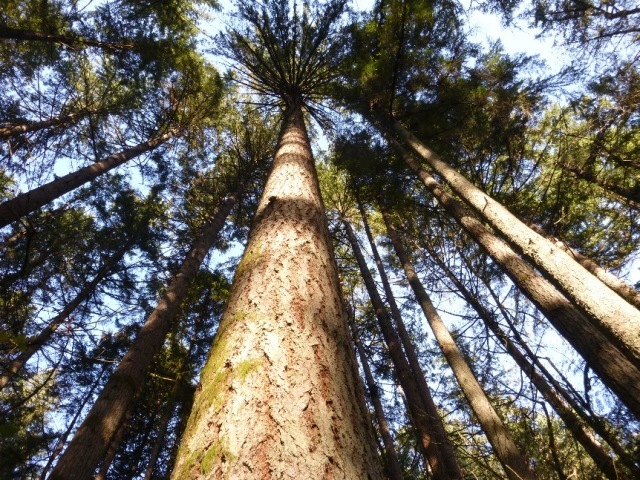 The Douglas-fir tree doesn’t produce seeds just to ensure that countless generations of sassy little squirrels can frolic through the forest. 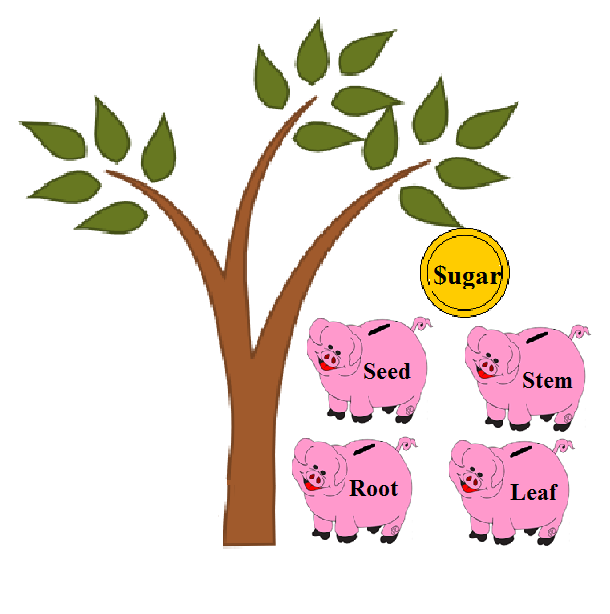 The tree’s plan is that once the seeds get ripe, the cones open up and release the seeds. 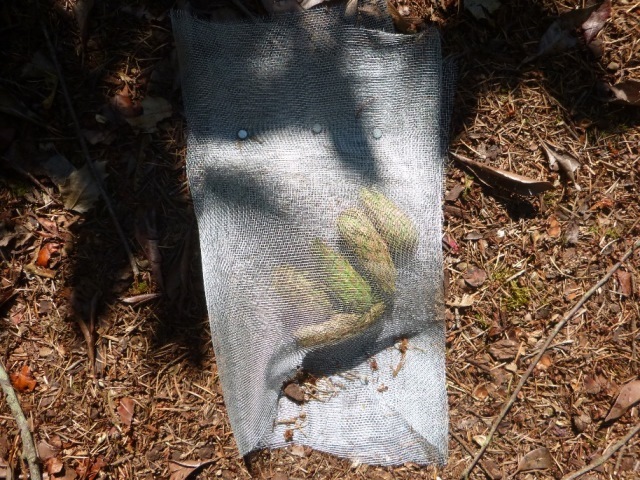 The seeds fall to the ground and “bingo!” a new bunch of Douglas-fir trees. To the tree, the picture below is success! 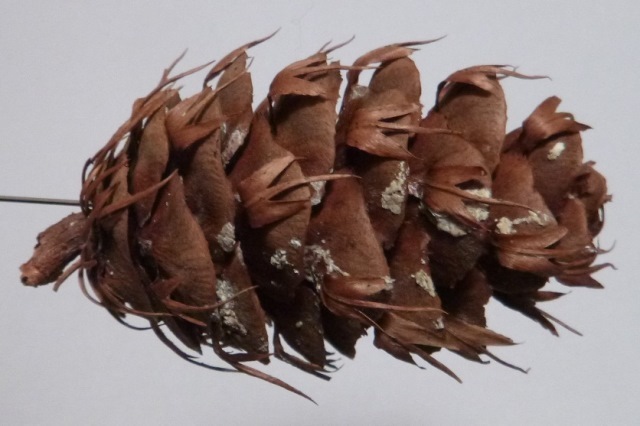 A cone has evaded being harvested by squirrels and has dropped its seeds. 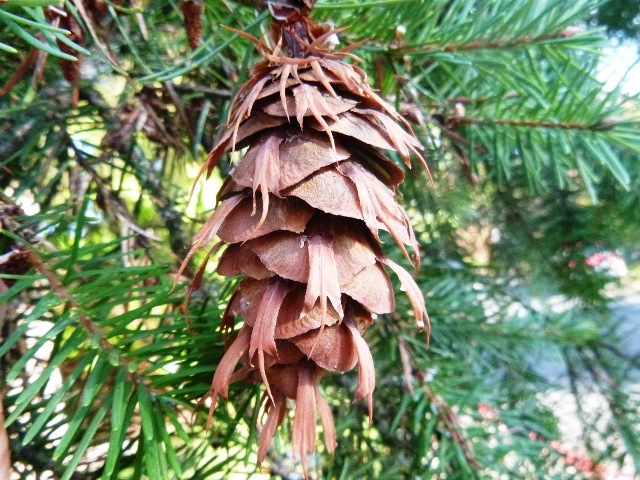 Once the cones release the ripe seeds, the seeds are pretty much safe from the squirrels. So how do cones work anyway? The mechanism that opens the cone is based strictly on hydraulic pressure. 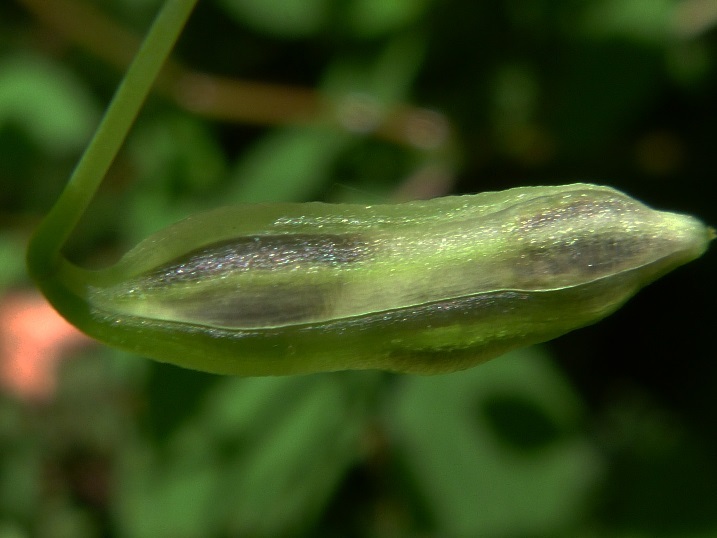 When the cone gets ripe and dries out, it opens to release the seeds. 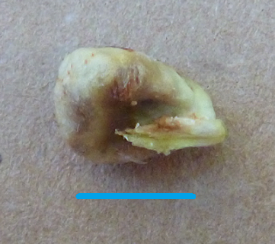 Here is the same cone after it has dried and is completely open. 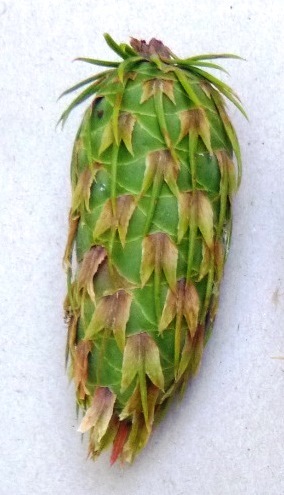 Note the difference in the shape of the cone scale’s stalk. 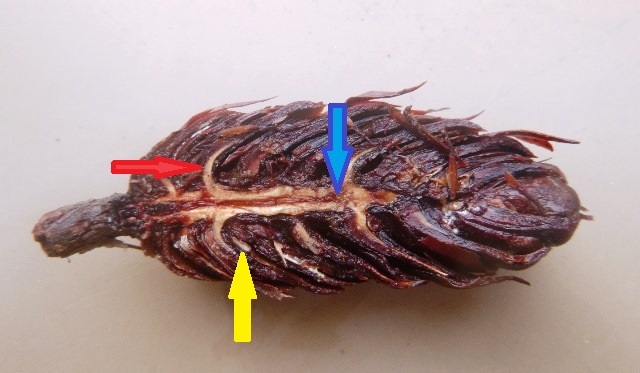 The secret behind the cone opening is that in the cone scales there are two different layers of cells. The inner layers of cells are tough and don’t expand when they get wet or contract as they dry out. 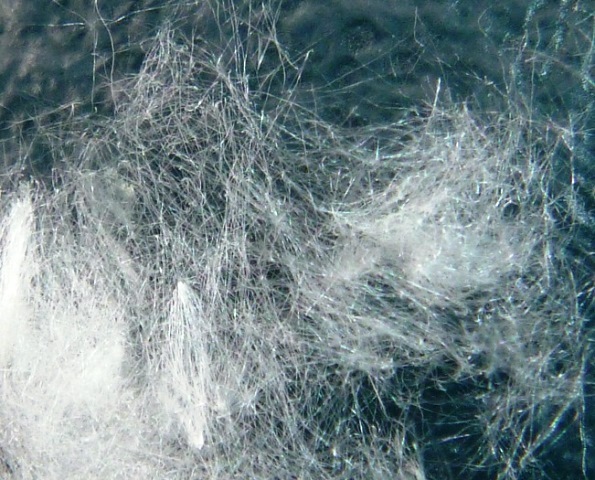 However, the outer layers are made of a different kind of cell that does expand when it is wet and contracts when it gets dry. To see how these layers work together to open and close the cone, click on the video below. In fact the cones can open and close many times, even after they are dead because of this hydraulic mechanism. 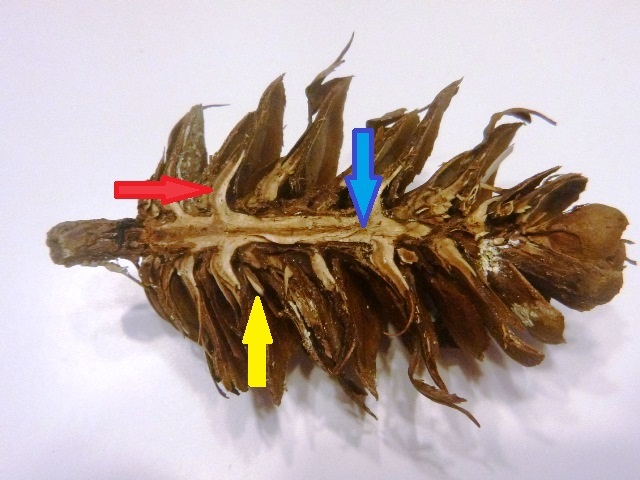 The following three pictures are of the same cone. The first picture was taken after the cone had been stored in my garage for 18 months. It was dead and dry. The second picture is after it was soaked in water for 2 days. 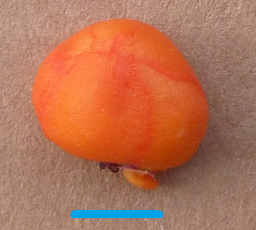 The third picture is when it was subsequently dried out for another 2 days. So let’s see; the squirrels would like to have cones full of seeds available all year. 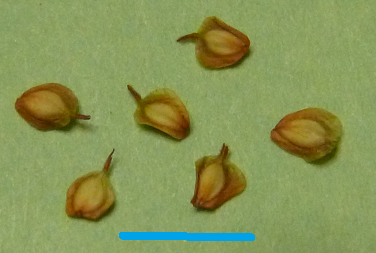 But shortly after the seeds mature, the cones dry out and shed their seeds. What to do, what to do? Hmmmm! We’ve got to keep those cones from drying out! Ah-ha! The squirrels figured it out! Cut the green mature cones off the tree and bury them in the moist ground to keep the cones damp. That way the cones will stay closed and ready for the squirrels all year round! Sounds good, but does it really work? 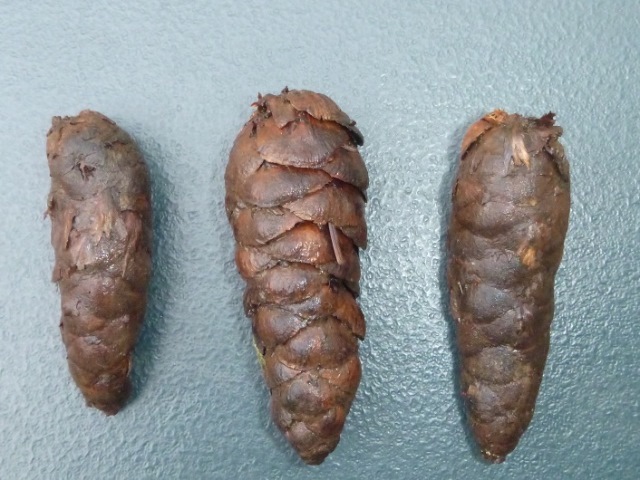 To answer this question, late last summer I gathered some closed, green Douglas-fir cones. I put half in a wire mesh pouch on top of the ground in my backyard, as pictured below. I dug an approximately 2” deep hole and buried the other cones. (“Yeah, I know! I gotta get a life!”). The cones in a cage opened within a week. On February 15 this year, I dug up the cones I’d buried, and washed them off. They were still closed, as you see below. Score one for the squirrels! 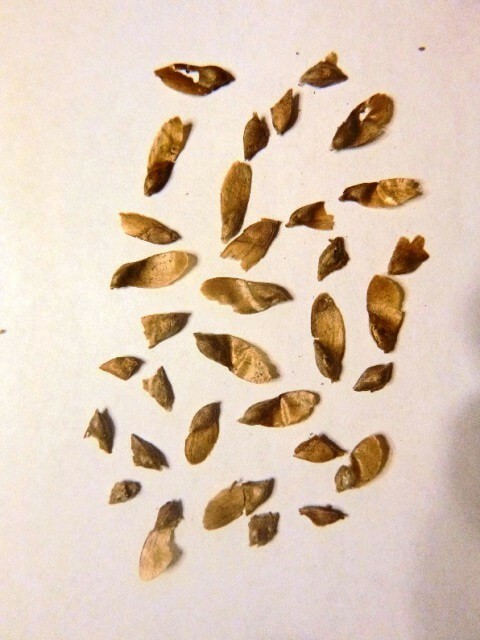 I dried out these cones, and ripped one apart to prove the seeds were still there. You can see the results below. 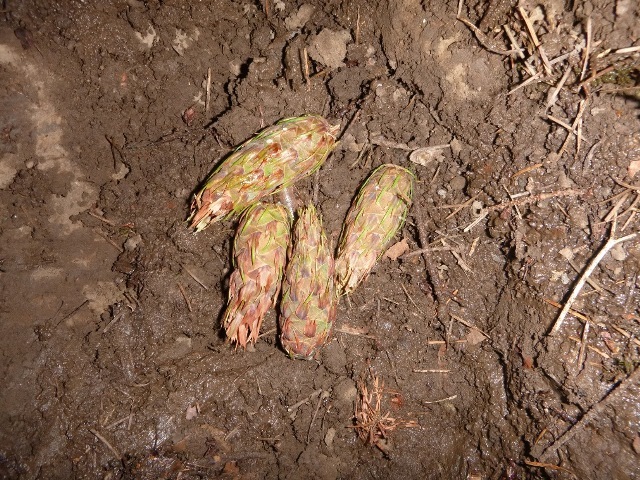 Cones that were buried over winter. 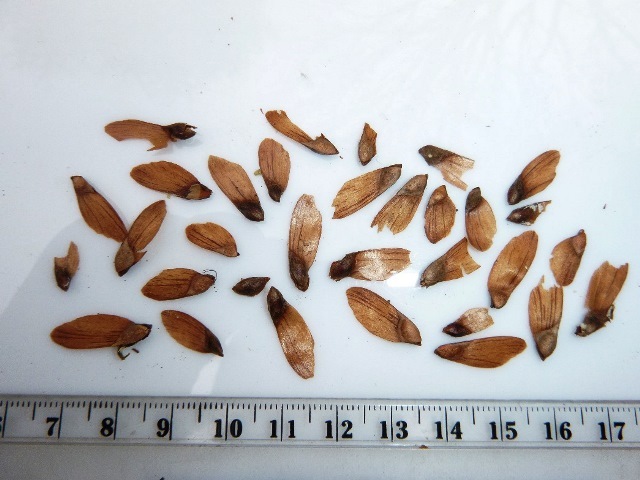 Seeds from one cone that was buried over winter. We tend to think of squirrels burying cones to hide them. Sort of like sticking them in the back of a closet where no one else can see. Well, that’s partially true. But in fact, it’s more like putting them in the refrigerator where they will be hidden, and preserved in a way that keeps the “handy package of seeds” intact. So the squirrels figured out how to steal the tree’s cones and bury them for future meals, did they? Too bad for the trees! But maybe the trees got the last laugh. Squirrels may have figured out the “bury the cones” strategy, but their memories aren’t perfect. Estimates of the percentage of cached cones the squirrels actually re-find varies from 10 to 25%. So maybe the tree wins after all, by turning the squirrels into little tree planters! With nearby grocery stores, most modern humans don’t spend a lot of time thinking about storing and preserving food, like the squirrels do. When I was a kid (Oh, here we go!) in Minnesota we grew lots of carrots in the garden. Come fall we’d dig them up, and cut off the tops. Then I’d dig a pit about 2 feet deep (my Dad said digging the pit would help me build “character”) toss in the carrots, pile on as many dead tree leaves as possible, and top it off with about 4 inches of dirt. It kept the carrots crisp and tasty well into the winter. Think about the foods you eat, and how they are preserved. Is anything dried? Salted? Stored in liquid? Refrigerated? In spite of our technology, maybe we’re not so different from the squirrels after all!